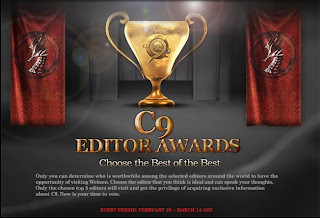 My review of C9 is up for an award! I need you to vote daily at http://c9.webzen.com/Event/EditorAwards between now and March 14th. If I am in the top three, I win a trip to the Webzen studios in Korea. So, please, vote for me. Is It Socially Acceptable to Cyber for In-Game Gear or Currency? 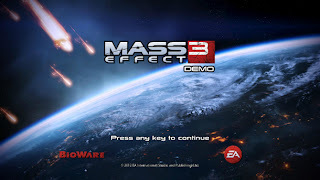 The Mass Effect 3 demo gives players a taste of what to expect when Mass Effect 3 finally drops on March 6, 2012. The single player portion covers what happens in the first moments after the Reapers invade Earth. Commander Shepard has been brought in by the Alliance military following the events of Mass Effect 2. The leaders of the Alliance are apparently as indecisive as the Council and still aren’t sure that the Reapers exist. That is, until the Reapers land and start destroying everything in sight. This kicks off Shepard’s next great adventure to save the universe. 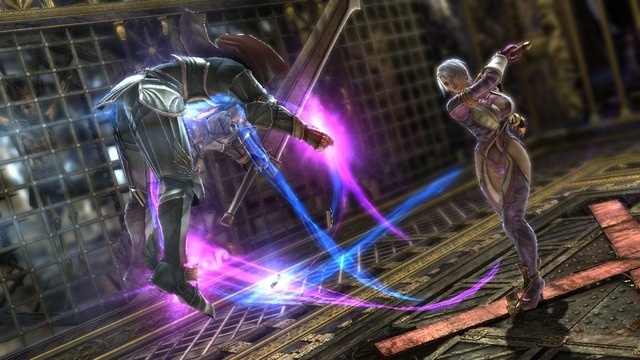 While the story and single player sets a grand stage, the draw for most is the addition of multiplayer. Multiplayer is very similar to the Horde Mode from Gears of War. 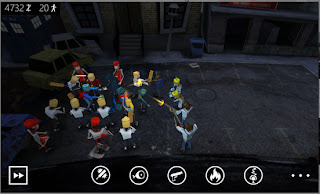 A group of four players must survive 11 waves of enemies. The enemies can be changed in the final game, but are limited to Cerberus agents in the demo. It’s not as simple as surviving the eleven waves and getting extracted. There are objectives that must be completed while fending off the waves of agents who want nothing more than your head on a stick. Fail to complete an objective and the game ends. Players pick their gender, race, and class exactly like they would in single player, except for the race. Also like single player, characters level up and gain abilities to be used in multiplayer. Completing objectives rewards players with credits to be spent on booster packs. These packs can contain one-time perks like special ammunition or medi-gel packs or new characters and weapons. It’s a fantastic system that will keep players playing as there are a plethora of class, race, and gender combinations to level up. In addition, the grab bag of weapons instead of buying the exact set you want makes it exiting to see what comes out of the booster pack. A lot of people have been clamoring for a multiplayer component to Mass Effect. I wasn’t convinced that the game needed it. However, after playing the Mass Effect 3 demo, I’m hooked. It’s a far superior version to Gears of War 3’s already fantastic Horde Mode. The RPG elements of leveling characters and upgrading weapons is something that I would love to see incorporated into more games. Mass Effect 3 was already a strong contender for game of the year. The addition of multiplayer may have guaranteed that. My review of Continent of the Ninth Seal is up at www.gamingclimax.com. I received a few access keys for the Early Testing Program for Tribes: Ascend. Make sure to grab yours before they're gone! If you're new to the Tribes series or just want more info about it, read more on the official site or read my review. 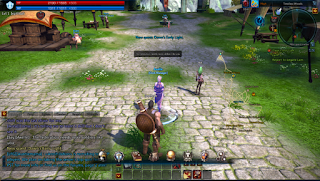 Download the game client HERE. My review of DragonSoul is up at www.gamingclimax.com. Description: "Sequel of the acclaimed Bye Bye Brain this version comes with more stages, more levels, more weapons and much more fun! And it's totally Free! Apocalypse has come...Again. Maybe you're getting tired of saving the world over and over but at least, this time, there are zombies. Zombies are fun! They are dead people, ok, but they will never say no to a good dinner. They love taking long walks and they don't care about your weight, your hair, or the color of your skin...All they want is your brain. Unfortunately, people in this game don't think this way. That's why you'll help them fight these cute un-dead creatures. This is an exciting tower-defense based game in which you'll control a group of five survivors to prevent their fortress from being overtaken by zombie hordes. But this is not the usual tower-defense experience, there are many minigames that will blow your brains out. So, maybe, it's time to say Bye Bye Brain." Bye Bye Brain: App-ocalypse caught me by surprise. I didn't know what to expect when I found it, but the high rating and quirky graphics convinced me to download the title. Well, it was those two factors and the fact that it is free. Despite being free, BBB:A is one of the best games available on the Windows Phone Marketplace. 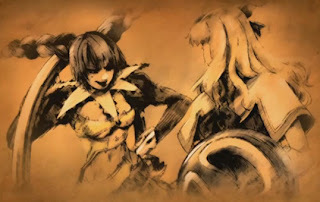 The game was published by Weekend Game Studio and released on January 8, 2012. BBB:A is a zombie-themed tower defense game. The objective is to keep the ever advancing horde of zombies from reaching your hideout. To do this, you must amass an army of survivors and plant them in the zombies' path. There are five survivor types. Each fills a specific role and having at least one of each is essential for making it to later levels. Each survivor can be upgraded twice, thus improving their abilities. The survivors aren't the only ones responsible for defending the base. It falls directly on your shoulders to take out zombies as well. By flipping the phone upside down, the perspective switches to the first person view of a survivor on the roof. 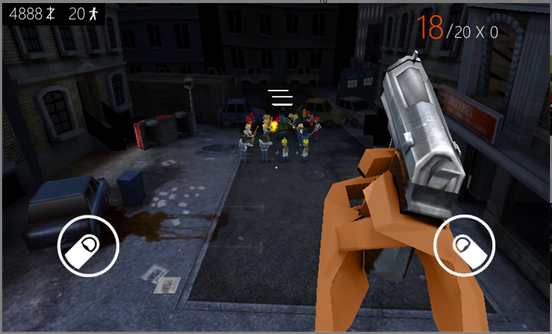 From this vantage point, players can tip and tilt the phone to gun down the swarming undead. There's a handful of maps to play and two game modes. Survival mode will spawn endless waves of zombies. Story mode...well, I'm not sure what story mode is exactly. I've been playing for some time now and I've yet to complete a level, if there are any. BBB: A is brutally hard. Zombies come in all shapes and sizes and must be dealt with accordingly. There are slow and fat zombies who can soak up damage. There are anorexic yuppie zombies who can sprint to your base, but have very low amounts of life. There's also plenty of zombie types in between.Of course, as each wave passes, the zombies grow stronger and harder to kill. What makes BBB: A stand out is the shop. Cash from the game modes carries over. You can choose to spend all of your money in matches upgrading survivors and buying ammo, or you can hoard it and save up for better weapons. 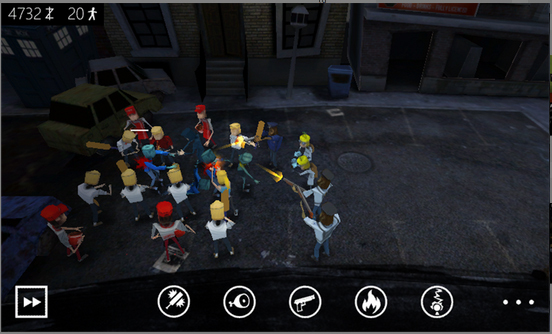 There are many upgrades available for both survivors and the player's character. These upgrades are permanent and in the long run make the game considerably easier. The graphics in this game are some of the best that I've seen on the Windows Phone platform. The design is fantastic and I love the references to such cult hits like Doctor Who and Shaun of the Dead. It was nice having the option to change the camera angle. The default view (as seen above) can make it hard to properly place survivors. When using the top-down view, it's considerably easier to build your human funnel. The sound is good, but can get old very quickly as it is quite repetitive. In later waves where there are multiple survivors and zombies of each type, the same sound effects will play over and over. For extended play sessions, it's best to mute the volume. But make sure to hear the catchy theme song. For a free game, this has one of the snazziest opening themes I've ever heard. Again, Bye Bye Brain: App-ocalypse is one of the best games I've played for Windows Phone. It's a great spin on the tower defense genre, and has lasting appeal with the quick sessions and carry over weapons and upgrades. The fact that it's free only makes it better. This is a must have game for anyone who owns a Windows Phone. 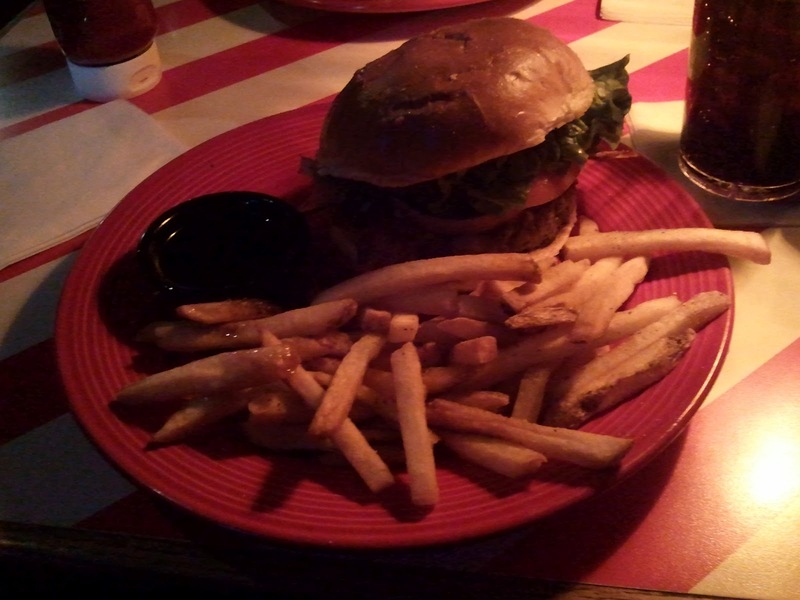 It's been some time since I've been to Friday's and even longer since I've had a Jack Daniels burger. In fact, it's been so long that I've forgotten how it tasted. 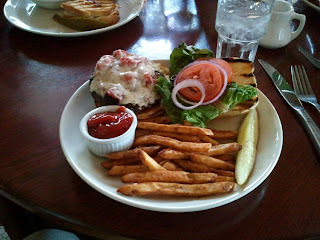 The burger itself looked remarkable. The Jack Daniels sauce had already complimented the chicken appetizer quite well. It was even better on the burger. Everything about this burger was perfect. The meat was rich with a smokey flavor and lush with juice. The toppings were at the peak of perfection with ripeness. In fact, the onion was so strong that my nose began to run. It wasn't a deterrent though, and I found my plate missing a burger. The Jack Daniels burger is truly the pinnacle of burger making. It's so good that vegetarians will switch sides. There's only been one other burger that I've found to be this delicious, and that was Red Robin's Royal. This burger is a must have, especially for anyone who is a fan of the Jack Daniels sauce. A bountiful helping of well done fries. 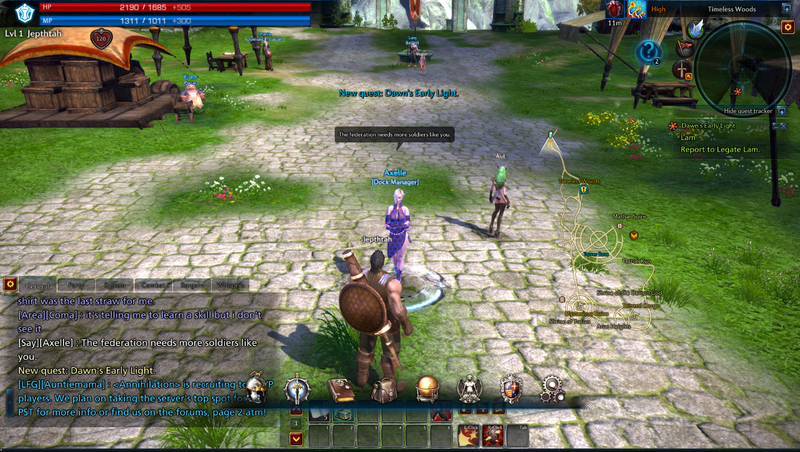 Last weekend, I had the opportunity to play the first closed beta test of Tera. I know the staff at Gaming Climax is going nuts for it, but I had not heard anything regarding the game. I have a full write up in the works, but I thought I would treat you to some screenshots. Ingredients: Half pound of Angus beef with Pomodoro and Provolone. Lettuce, tomato, toasted bun, and onion. BJ Wentker's has been hit and miss for me. The Mushroom Swiss Burger was a mess that left a puddle on my plate. The Bacon Cheddar Burger was better, but still left me wanting. With only one more burger on the list, how would the Bruschetta Burger fare? BJ Wentker's has an excellent Bruschetta appetizer. It would only stand to reason that combining that delicious appetizer with a burger would lead to nothing but unmeasured success. The burger itself was actually very tasty. The toppings combined with the slightly charred bun made this one of the more unique burgers I've ever had. Despite the bland slab of meat that rained down grease and juices...oh wait. Did I fail to mention that? As soon as I picked up the burger, there was a torrential downpour on my plate. So, once again, I had to build a dam with a few sacrificed fries. This is the second burger I've had from BJ Wentker's that rained down on my plate. As a general rule, if a burger is 30% liquid, it's not a good burger, despite the toppings. Appetizing fries. It's a shame I had to sacrifice a few. I finally found some character art for Elysium, Patrolos Alpha, and Pyrrha Omega. As such, their wallpapers can be found here. Description: Investigate this haunted house to find out what happened to the people who lived and died here. Discover ancient occult artifacts, evidence of sacred rituals and photograph the ghosts in action if you can. Explore this place, discover its secrets, and try to escape with the evidence...alive! Ghostscape is a unique title on the Windows Phone Marketplace as it's one of the few genuine horror titles I've found. To be more specific, it is the only good horror title in the already meager game marketplace. The game opens with the player entering a notoriously haunted house. It is played from the first person perspective, and uses an old school point-and-click play style. The story revolves around the previous owners of the home and discovering what has happened to them. Along the way, there is a good deal of paranormal activity that players must contend with if they want to discover the truth and then escape the house intact. Graphically, I would have expected Ghostscape to look better for a game that has very few moving parts. The game uses static backgrounds that pale in comparison to games like Resident Evil that originally used the design to a very successfully degree. The overall atmosphere of the house definitely has a creepy vibe to it. The visuals portray this with some success, but the entire game is very blurry and appears out of focus. The sound design is where Ghostscape truly shines. It's full of all kinds of spooky sounds and I'm not ashamed to admit that my skin crawled on a few occasions. From the ghosts floating through the house to ambient sounds like creaking and poltergeist activity, it's all good. The game itself can be wrapped up in under 20 minutes, and there's even an achievement for doing so. With that said, the game is rather short and after exploring everything, there's not much replay value. It would be nice if items could be randomly moved each time the game is played or if the puzzles changed. As it stands, you'll most likely shelve this tile after beating it a handful of times. The puzzles themselves are varied and I had to scratch my head on one puzzle in particular. But once you have the solution, it's far too easy to do subsequent speed runs. In the end, Ghostscape is one of the better titles I've played for Windows Phone. It's definitely worth a try, and at $2.99, it's not a bad price for the few hours you'll spend playing it. So, if you're looking for something a little scarier with a retro feel, give Ghostscape a whirl. 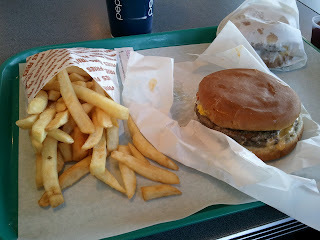 The last time I had a burger from Popeye's in Lake Geneva, it was a complete mess. Needless to say, my hopes weren't too high this time around. But, I'm a forgiving soul, and there were still a plethora of burgers I had not tried. Walking into Popeye's was a disorienting experience. It was a sea of humanity in the restaurant, and it was so cluttered with knick-knacks and decorations, that it took me a few minutes to get my bearings as I walked in from the parking lot entrance. After finally finding a seat and browsing over the menu, which appears to have changed yet again, I decided on the Mushroom Swiss Burger. The burger itself had the consistency of many other mushroom Swiss burgers, it was slick with moisture and juices. 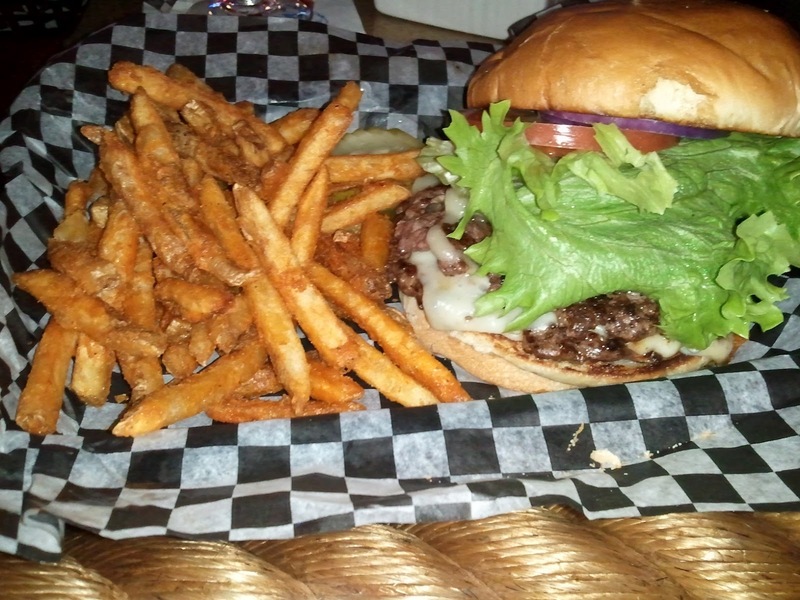 The lightly toasted buns held the hearty helping of fresh toppings in place as I greedily devoured the burger. The meat was rich and flavorful. It wasn't greasy like so many other burgers I've had in the Southeastern Wisconsin region. The toppings were fresh and crisp and went surprisingly well despite the burger only traditionally using only mushroom and Swiss cheese. I had a hard time believing this was the same restaurant. In the end, the burger was so filling, I couldn't finish my side of fries. Overall, it was a very good burger. It didn't wow me or present anything special, but it was a solid, well made burger. My review of DC Universe Online is up at www.gamingclimax.com.